The main objective of this action is to further identify most effective ways to communicate to the identified target audiences, create a media plan and most efficient formats for disseminating and communicating the projects main objectives and results through different communication channels. This action considers consultations and engagement with stakeholders to detect interest and their role in the ELD implementation framework. By this we will identify potential conflicts and risks of proposed project actions and deliverables in order to properly engage the stakeholders, set up the lacking dialogue on the ELD and educate them on their rights and expected role in the ELD implementation framework. 3) connect all core actions and use its communication channels to reach target audiences throughout the project duration and afterwards. 5) proposal for an environmental liability risk assessment tool as a risk management tool. Their aim will be to improve the implementation of the ELD provisions on environmental liability for the prevention and remedying of environmental damage. All the interactive tools of EcoLex will utilize the information from other project actions and vice versa. There will be two international conferences regarding the ELD implementation in Slovenia. They will primarily address the target audiences of large operators, lawyers and risk assessors. The objective of the conferences is to engage the target audiences and the stakeholders in a dialogue and raise awareness on the ELD and its implications. 6) present the benefits of registering into EMAS or ISO 14001 schemes and their contribution to preventive measures in the ELD context. 5) to gather feedback on toolkit (Action B1.2) and draft of environmental risk assessment tool (Action B5). In addition to that, we will award the participants with prolonged EcoLex and EcoClipping subscription. This action will start at the end of 2017 and will continue until November 2019. We plan to execute 25-30 interactive workshops (Action B3.1) as well as 15 webinars (Action B3.2). EcoClipping is planned as one of the central communication channels of the project through which we will reach the identified target audiences and keep them informed about the project, developments of EcoLex system and environmental legislation. EcoClipping archive is added to the EcoLex portal, which enables search by date and key words. EcoClipping is an open access service. In after-life, the service will remain free of charge for the active participants of the project actions. Since there is no offer of a specific ELD insurance policy in Slovenia, project EcoLex Life is commited to help with development of such an insurance tool. 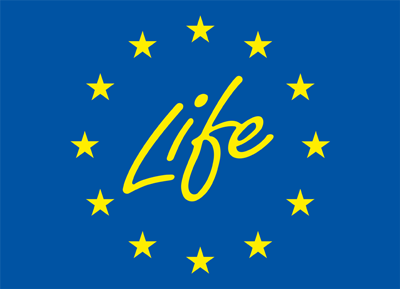 EcoLex Life project is developing this tool in cooperation with Triglav Insurance Company. The EcoLex portal, as the information centrepiece tool, inter alia, aims to provide resources for ELD insurance policy development. This will be tackled with the proposed project action “ELD specific insurance policy development and risk assessment profiles”, where we will develop comprehensive risk profiles of key operators in 5 main regions with the highest risk of potential environmental damage. With this action we are targeting mainly SMEs and will produce 150 risk assessment profiles (30 cases per identified region) with the help of environmental and insurance policy experts. Cases will be designed into infographics for futher circulation in media and through other communication channels. These deliverables will also be used in other project actions as key info material and will have a special web section on the project web page. This action will directly aim to realize the project objective of preparing the proposal of an environmental risk assessment tool and prepare one of the central project deliverables that will serve as a tool for improvement of the implementation of the ELD. c) forming an appropriate task force of maximum 6 experts that will analyse possible options and deliver a proposal for an environmental risk assessment tool by October 2019. The purpose of drafting the risk assessment tool is to provide the target audiences as well as stakeholders with a tool for identifying their exposure to the risk of causing environmental damage. The tool will contain also the list of possible preventive measures needed to lower the risk of causing environmental damage. The final awareness survey will measure the impact of the project in raising awareness on the ELD in Slovenia. It will be based on the baseline awareness survey we have executed in the project preparation period in order to build upon the results gained and to directly compare the data acquired. 5) measure the level of awareness among NGO’s. The action is planned from August 2019 – December 2019. Monitoring of the impact of the project actions will contribute to reaching the project objectives. It will be a continuous action that will use systematic collection of data on specified indicators of progress and expected results as described under individual project action. This will assist project management, steering committee and stakeholders in receiving indications regarding project impact and achievement of set objectives, and in choosing the right action to improve performance, if necessary. All the core implementation actions have foreseen feedback mechanism that will provide us with information and data needed to assess the impact of the project. We have prepared a detailed list of project performance indicators. The performance indicators have been prepared in a manner that will enable the project management team to directly monitor the project impact. Our view is that the socio-economic results of the project could be described as: higher awareness of the ELD issues, which leads to lower number of ELD cases. It means decresing the damage to the environment as well as decreasing the costs for remedial measures. It means also that the number of legal and private persons as well as NGO’s involved in accordance with the article 12 of the ELD should increase. This action will start at the beginning of the project and will last until the end of the project. The impact of the project will be measured again after 3 years, when we will also be able to check the financial effect of the project on our business. Communication and dissemination of the project key messages and objectives as well as results are important to tackle the identified problems and achieve the set objectives. – invitations to journalist to project events. Networking with other similar or complementary initiatives could lead to synergies and it is an important part of a LIFE project. The main objective of this action is to establish contacts with other similar initiatives, exchange know-how and the lessons learned and explore the possibilities of transferring our approach to other countries. This action also includes participation at related events and presentation of the project, its approach and transferability in Slovenia and other EU member states. We have planned a minimum of two presentations a year. Project is broken down into its fundamental parts: initiation, planning, execution, controlling, and closing. This is assuring that the set objectives, reflected in project actions, are consistent with practice. Early detection that implemented actions are not producing intended outcomes (within planned time scales and budget) is the main concern of all involved parties, especially the general manager and project manager, as well as the steering committee. Each of the actions was divided into tasks and for each task an amount of resources, in terms of duration and effort, was estimated. 4) achieving good EcoLex click-rate. The After-LIFE communication plan will be prepared as a stand-alone document and included in the Final project report. We will start preparing a detailed afterlife communication plan in the last quarter of the last year of the project. – development of the EcoLex portal and all of its features. We will need to define the system of switching from open-access service to a payable one, only to assure its continuation. In order to achieve greater impact and efficiency of the project, this action is focusing on bringing together various sources of funding and connecting parallel projects that complement each other. 3) a decision on the replication strategy. Within the framework of this action we will connect with the Legal Informational Centre for NGO’s (PIC) and the Ministry of Environment and Energy of the Republic of Croatia.